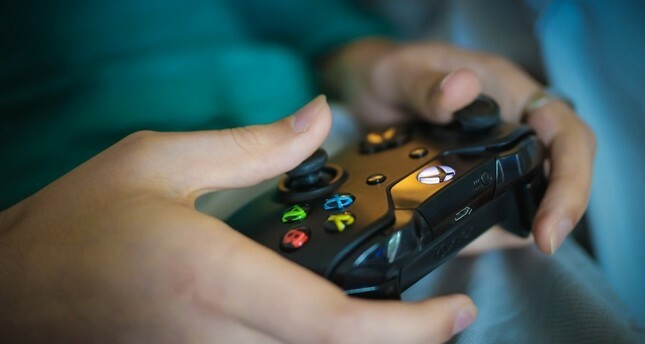 Internet giants are putting efforts into maximing the video game experience by investing in hardware to minimize delays in games and upgrade the gaming experience. Smartphones, laptops, tablets and televisions, which we look at for hours on a daily basis, are now home not just to music and videos but also live games. Mobile games, which started with Nokia's snake game, are now syncing over the cloud with desktop platforms. Paying for time spent playing a game is a logical option for users instead of making private investment in hardware. Apple introduced new gaming accessories last week. In the world of video and music, stones do not move easily. Affected by money in its vault, analysts advised Apple to buy Netflix, but Apple is going to explore its goals regarding its video platform. Not only Apple, but also giants like Google are now ready to play. Gaming platforms can lead to the fastest growth. However, games require a device and a network where we receive cloud services and performance. Cloud-based games stand out, as the most important usage stories when making 5G investments, and Amazon Web Services and Amazon do not leave this field unturned. Google is making strong investments in this area with intense traffic on the Internet. Despite its many achievements, in some areas it hasn't had the same success. Game enthusiasts expect stand out performance, minimum latency and an error-free gaming experience. Minimizing delay in the game is the most important criterion for success: No player wants to experience problems due to delay in performance. Google has long been collaborating with many companies for the Stadia project. Will the Internet giant rival Sony and Microsoft, which have been operating in this area for a long time? It will be determined by the contributions of game developers and gamers. In addition to new technologies, Google launched an entire ecosystem for the success of the Stadia platform, which features YouTube and Google Assistant. A close, long-standing partnership between Google and AMD has introduced high-performance, custom-made AMD Radeon data center GPUs for the new gaming platform Google Stadia. In the game platform announced by Google at the Game Developers Conference (GDC) in San Francisco, AMD will support Google with software development tools and a Linux-based, open-source Vulkan driver. Graphically delivering rich games to millions of users and minimizing latency via the cloud requires ultra-high-performance computing to maximize gaming performance. At the same time, advanced technologies are needed to overcome the unique challenges of data centers, such as security, manageability and scalability. AMD high-performance Radeon data center GPUs specially designed for Google Stadia want to provide a compact size power saving with 2nd Generation High-Bandwidth Memory (HBM2), host features that help protect data integrity, such as Error Verification Code (ECC), and guarantee fast and predictable performance with cloud-based gaming security features through the industry's first hardware-based GPU virtualization solution built on the SR-IOV (Single-Root I/O Virtualization) industry standard. AMD's graphics architecture supports today's gaming platforms from PCs to large gaming consoles. This makes it possible for developers to improve their games for a single GPU architecture, allowing them to spread this benefit across multiple platforms and a large-scale cloud gaming platform. Places that sell yeast fritters in thick syrup (lokma), which you can find in every corner of Istanbul, follow cost and revenue using cloud-based technologies. Some time ago, Istanbul witnessed inflation that centered on Van's traditional breakfast. Restaurants that mainly served Van breakfasts were opening and closing constantly all around the city, while many failed to cover the cost and revenue account. The same happened for San Sebastian Cheesecake. But queues in front of lokma shops, the city's new favorite dish, which started in the Beşiktaş district, led to the opening of similar places everywhere. These desserts are a modern interpretation of the traditional yeast fritters, served with a delicious filling and a variety of sauces and are in quite high demand. However, most of these shops will not make it to the end of 2019 because only those that can manage the right flow of flavor, income and expense will survive in this competitive environment. At this point, domestic cloud-based retail automation and POS software solutions stand out. The cloud-based ikas, which attracts attention due to its customer-focused approach, knows the importance of being fast during sales and offers solutions to businesses. With features that accelerate sales and payment transactions, ikas facilitates the job of fast-paced, multi-demanding fast food points, especially the aforementioned lokma shops. These places are hard to miss with their long queues in almost every neighborhood in the city. İkas, domestic cloud-based retailing automation that knows the importance of being fast during sales, increases customer satisfaction by reducing queues via the services it offers for fast-paced, multi-demanding eateries. It also offers solutions for those who want to grow by doing multiple branch management. By registering favorite fillings, decorations and sauces of customer, it is possible to follow how much product has been sold on the platform. Thus, owners can be informed immediately of additions falling to a critical level and can always offer customers any additional tastes they may want. Products can be categorized according to type, season or determined features. Thus, products can be seen under categories. The speed of the sales staff is very important. Customers waiting in line for more than a few minutes get more and more impatient. It is possible to create new customers in a few seconds via the sales screen. Thus, customer information is received, and sales are completed via this platform, while traditional systems only allow the management of sales in this period. Brands that have many franchises or branches spread quickly like lokma shops can create a new branch with a single click. Unlike traditional systems, there is no need to invest in infrastructure for the new store and wait for the establishment of systems. A common customer database is available in all stores. In this way, customer information from any branch can also be used in other branches. Türk Telekom and Nokia have realized Turkey's first Industry 4.0 application by using the 5G network. Türk Telekom has introduced the low-latency, high capacity and speed capabilities of next-generation communication technology with a 5G test network it established with Nokia in Ümraniye Technopark. The Türk Telekom and Nokia joint project demonstrated the ability of the 5G network based on low latency in three different attempts, standing out as the first Industry 4.0 application with a smart factory. As part of this project, a 5G network was used to minimize errors in critical industrial applications and increase production and productivity. Türk Telekom Technology Assistant General Manager Yusuf Kıraç said with these trials, they have proven the effects and capabilities of 5G technology that will accelerate Turkey's Industry 4.0 process. "From now on, as Türk Telekom, we will continue our efforts in the different areas of use of the 5G network," he added. Having performed the first Industry 4.0 trial in Turkey by utilizing the low latency and high bandwidth of 5G technology, Türk Telekom and Nokia also featured the advantages and benefits of new generation communication technology in the areas of Smart City and Public Security, as well as the Smart Factory test. Every day you read a new article on driverless vehicles. However, sometimes we miss organizations that bring these developments to us. That is why we strongly recommend not missing the mini autonomous car competition, MARC, held at Bilkent Cyberpark. Europe's largest mini autonomous car competition takes place Saturday, April 13 in Ankara. OpenZeka, one of the important representatives of artificial intelligence applications and deep learning algorithms in Turkey with its products, will organize the competition for the third time this year with the participation of Türkcell, Karel, BMC and Doğuş Technology, as well as 10 universities and four high school teams. After being trained by OpenZeka in a series of deep learning algorithms, the teams at MARC use 1/10 scale special production vehicles equipped with high-tech radar and sensors supported by NVIDIA Jetson TX platforms where the driving experience in a real vehicle can be simulated. Teams show how they can produce solutions to the real driving needs of the real world with deep-learning algorithms. They compete to achieve defined tasks quickly and accurately. On specially prepared tracks, they test all kinds of scenarios, from driving safety to responses to traffic signs, from pedestrians that suddenly jump in front of vehicles to road obstacles – all to produce solutions.